Grand Lake Websites and Sales is based in New Brunswick, Canada. We strive on providing the best customer service and high quality services. We have solutions for small business, large corporations, e-commerce, blogs, forums, government, security, personal and many more. Some of our services we provide are website development, graphic design, website hosting, SEO, internet marketing, photo editing, video services, professional printing services. 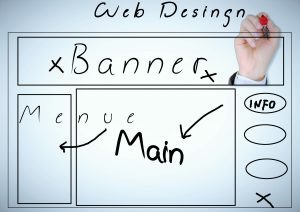 We work closely with our clients to ensure they get the website they need to have a successful online presence. From ensuring proper search engine optimization to making a website fully translatable in up to 35 languages, we provide the services you need for your website to build you a strong online business. Website design and development as well as search engine optimization have gone through tremendous changes over the last few years to keep up with the constant changes in technology. Users are wanting to access information on the internet using various devices. Between mobile phones, tablets, and desktops, accessibility on the web is so easy that website owners need to ensure they accommodate the demand. By ensuring your website has a responsive design, this allows users to view the same website on any device, the responsive design automatically adjusts your website to fit onto any screen size. Contact us today and let us help you create your online presence or let us give your current online presence an update.